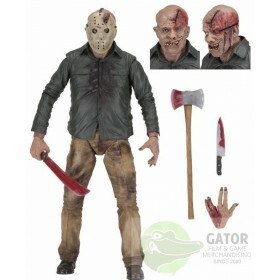 Horror merchandise There are 107 products. From the new Predator movie directed by Shane Black! The Fugitive Predator in Thermal Vision comes packed in a window box and is about 17,5cm in height. He's every nightmare you've ever had, your worst dream come true. He's everything you ever were afraid of. He's Pennywise the clown, and now he?s a Living Dead Doll.From the depths of the sewers beneath Derry comes the terrifying villain of It the movie, Pennywise. The second release in NECA's new collaboration with renowned director Guillermo del Toro! Chucky, the homicidal doll possessed by the spirit of Charles Lee Ray ? a serial killer better known as "The Lakeshore Strangler" ? 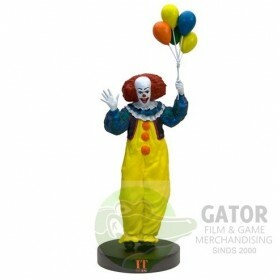 is the latest addition to our ever-expanding line of Chucky merchandise. NECA is thrilled to announce a new collaboration with renowned director, Guillermo del Toro! 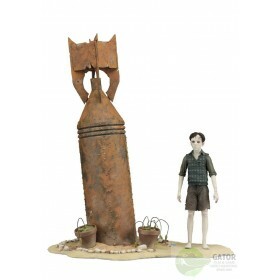 The new GDT Signature Collection will bring select characters from del Toro's movies to life in premium action figure format with deluxe added elements. Own an authentic, full-size replica of the Flasher Gremlin stunt puppet from Gremlins 2: The New Batch! This hand-painted rubber and latex figure stands nearly 30" tall and features a fabric trench coat and removable sunglasses, all entirely faithful to Flasher´s on-screen wardrobe in the movie. Comes complete with a metal display stand. Officially licensed Gremlins Evil Puppet Prop.This amazing Puppet was designed by Russ Lukich who used an original form as reference. Absolutely every detail of Stripe is present in this incredible puppet. From his dimensions to his hair, this is as close as you'll ever come to having the actual Evil Prop in hand. Officially licensed Gremlins Evil Stripe Puppet Prop.This amazing Stripe Puppet was designed by Russ Lukich who used an original Stripe form as reference. Absolutely every detail of Stripe is present in this incredible puppet. From his dimensions to his hair, this is as close as you'll ever come to having the actual Evil Stripe Prop in hand. 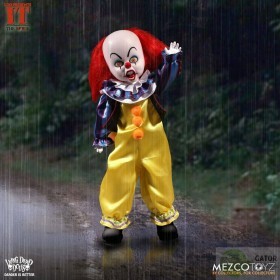 Living Dead Dolls Series 34 features 5 points of articulation and real cloth clothing. Each 10-inch doll is packed in their own coffin with personalized nameplate and death certificate. AMC's The Walking Dead© television series is the most watched drama in basic cable history, shattering records along the way! Season 7 finds Rick and the other survivors in the crosshairs of one of the most ruthless enemies they have ever encountered. € 37,50	Available for pre-ordering, you can order this item now and use the pre-order page in the payment section ! You will get a message once this item is in stock. From Alien: Resurrection, the fourth movie in the thrilling sci-fi series! Two hundred years after Ripley's death, military scientists are attempting to clone Ripley in order to extract the Queen embryo that was in her body when she died... And on the eighth attempt, they succeed. € 35,00	Available for pre-ordering, you can order this item now and use the pre-order page in the payment section ! You will get a message once this item is in stock. 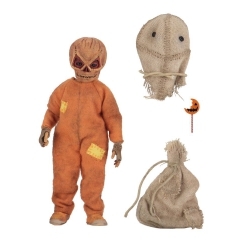 NECA proudly presents the return of Sam, the mysterious trick-or-treater from 2007's cult classic film, Trick R Treat! € 29,90	Available for pre-ordering, you can order this item now and use the pre-order page in the payment section ! You will get a message once this item is in stock. NECA is thrilled to present its second figure from the upcoming, hotly anticipated Godzilla: King of the Monsters movie!Based on the monster's on-screen appearance in this sequel to the 2014 Godzilla movie, Mothra features articulated wings and includes a display base with support rod for simulated in-air poses. NECA is thrilled to present its next figure from the upcoming, hotly anticipated Godzilla: King of the Monsters movie!Based on the monster's on-screen appearance in this sequel to the 2014 Godzilla movie, Rodan features articulated wings and includes a display base with support rod for simulated in-air poses. NECA is thrilled to present its first figure from the upcoming, hotly anticipated Godzilla: King of the Monsters movie!Based on the monster's on-screen appearance in this sequel to the 2014 Godzilla movie, the all-new Godzilla is fully poseable, with over 25 points of articulation. € 39,90	Available for pre-ordering, you can order this item now and use the pre-order page in the payment section ! You will get a message once this item is in stock. € 1.799,00	Available for pre-ordering, you can order this item now and use the pre-order page in the payment section ! You will get a message once this item is in stock. € 179,00	Available for pre-ordering, you can order this item now and use the pre-order page in the payment section ! You will get a message once this item is in stock.